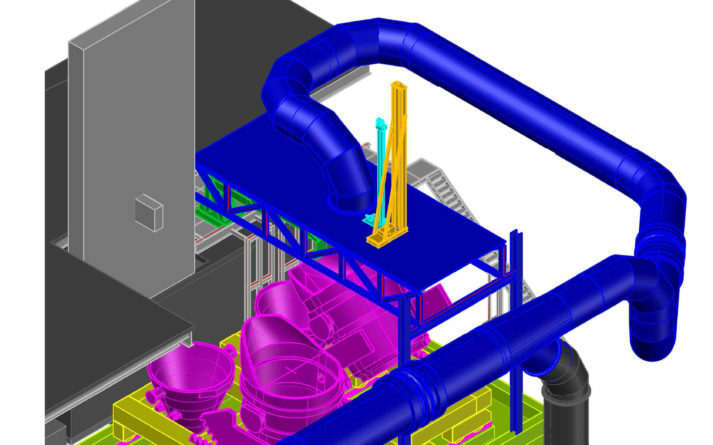 USS Desulf – Sidock Group Inc.
Sidock Group has been commissioned to develop a conceptual design for an ‘Iron Ladle Desulfurization Skimming Station’ located in the basic oxygen furnace of a fully-integrated steel mill. The proposed desulfurization station will help to ensure uninterrupted steel production. 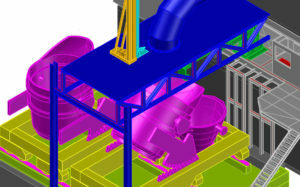 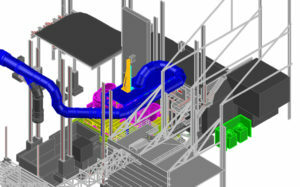 The conceptual design integrates ladle transfer cars, ducting, and the hood into an existing steel production facility.